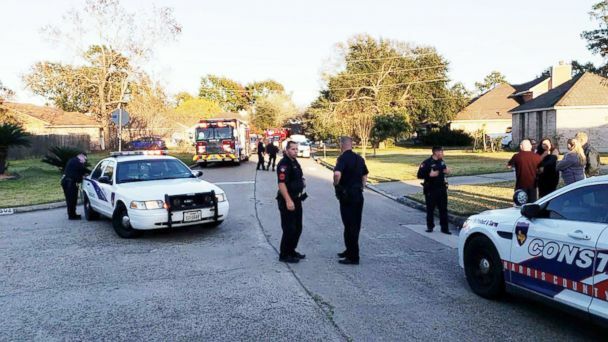 A Texas teen shot herself in the foot with an allegedly stolen AK-47 that she had stuffed down her pants, according to police. Further investigation determined that the gun had been stolen, he told ABC News. "We have found out since then that the gun that was used was stolen in a home burglary just hours before that shooting," Herman said. "We filed tampering with evidence because they threw the gun down a storm drain after the shooting," Herman told ABC News. Video obtained by ABC News affiliate KTRK shows a girl lying on the road and neighbors coming to assist her. "She had some pretty good wounds. She blew off the heel of one foot," Don Sievertson, a 68-year-old veteran who ran out to help the girl, told ABC News. "She was in excruciating pain and she had every reason to be. She had very severe wounds, very severe. "She was thrusting backward and forward, side-to-side screaming in pain and you know, [saying], 'I need help.'" "There were two females. The other one, we're still investigating that aspect of it. But if she was involved in the burglary, she'll get filed on, too, eventually," Herman said.